From Washington Heights to Lincoln Center - that is how you do it. 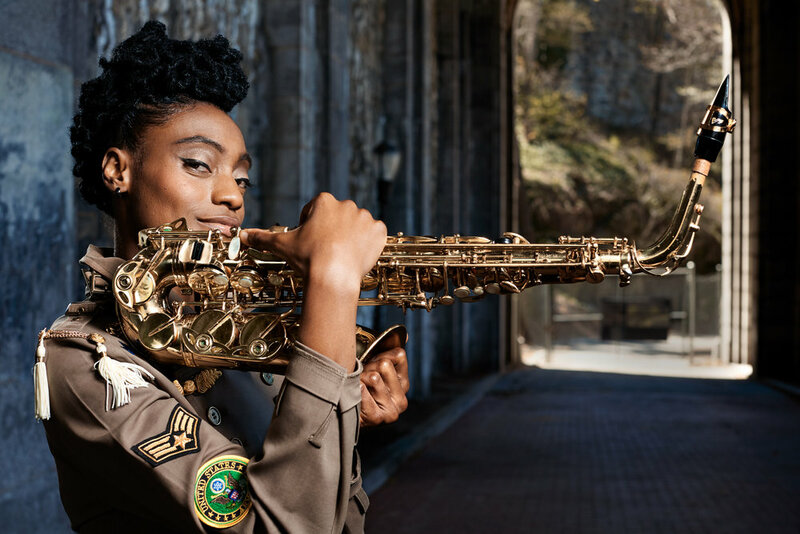 And that's just what Lakecia Benjamin did, using her Saxophone as a tool for growth. She's traveled the world as an ambassador - not just for Jazz but for Women of Color - and held her head high as a bandleader. Benjamin has played with the best, from Stevie Wonder to Clark Terry, and now she is ready to release her latest work - Rise Up - to the world. Featuring a solid band and special guests Maurice Brown, China Moses, and more, Rise Up is a powerful statement both in Jazz and on the current state of our culture. The title track - March On - starts with the quote ' You can either live your dream, or live your fears', and that sums it up right out of the gate. Rise Up hits on March 23, with preorders opening February 23. Dig. Lakecia Benjamin’s journey into music began in the predominantly Dominican neighborhood of Washington Heights in New York City. She grew up listening to and eventually playing Merengue and Bachata. At just 14 years old, she gained her independence and moved out of her parents care, earning the little money she could from local gigs to support herself. Stewart could see the talent in Benjamin, and so he sent her home with a few names – Charlie Parker, Duke Ellington, Charles Mingus, and John Coltrane. She listened and quickly learned their style. Lakecia was finally accepted to attend LaGuardia High School. With her talent, drive, and just a saxophone as her passport, Lakecia was set on her journey from the streets of Washington Heights to the expansive world of Jazz. As she shared her music to wider audiences, Lakecia Benjamin quickly gained recognition. After graduating from LaGuardia, Benjamin joined the renowned jazz program at New York’s New School University. By that time, she was already playing with renowned Jazz figures, like Clark Terry and Reggie Workman. Her dedication and diverse musical interests steered her toward performances with a prominent cast of artists, including Rashied Ali, James “Blood” Ulmer, Vanessa Rubin and Craig T. Robinson. Her studio work gave a similar impression and she came to work with such artists as Santigold , Talib Kweli , and Dj premier Since then, Benjamin has become in-demand as an arranger and horn section leader for the likes of Stevie Wonder, Alicia Keys, Macy Gray, and Kool and the gang . Lakecia Benjamin carries her personality and history throughout her musical journey, remaining mindful of not losing touch with where she began. The Dominican influences of Washington Heights have remained with her, and can still be heard in her music. If you listen to Benjamin with an understanding of her story, the music makes perfect sense. And as a strong and rhythmic bandleader, a Black woman taking the lead and pushing forward, she is a musician who plays to us all. And she has thrived by turning adversity into beauty without lament, but with fierce power. 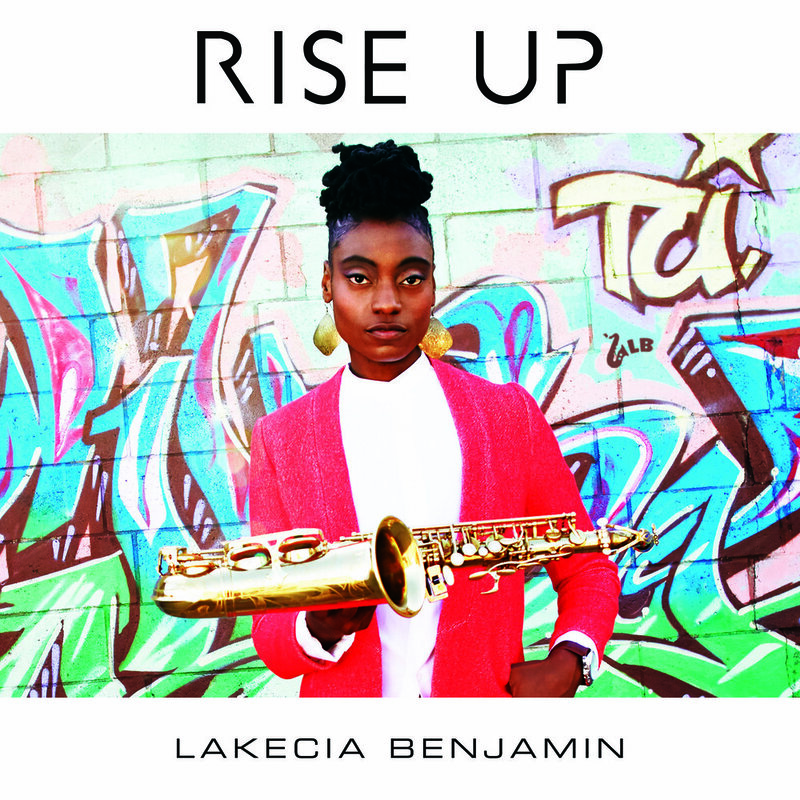 “Rise Up” finds Lakecia Benjamin in a focused and deliberate mood, absorbed in the world around her, both personally and universally. Her life’s experiences are made into music we can all dance to, as she fearlessly responds to the current political climate with a message of power and hope. Since she believes that, ‘The best things in history have come from people being upset,” Benjamin’s music gives us the light that will help us all carry the weight through the darkness, whether it be a personal plight or political strife. Although her music has a clear a history and message, it is far from lectures or demands. It takes you out of the grinding gears of life, and rescues your spirit. There is a simple joy in Benjamin’s music that touches us all, that lifts us from the mundane into a glimpse of transcendence. Lakecia Benjamin has taken this lost art as her own, to revive and refine it for today. Listen and let yourself enjoy.